Bond. James Bond. The fictional secret agent based on the Ian Fleming novels has been entertaining audiences on the big screen for decades. Just in time for its 50th anniversary on film, the 23rd Bond film Skyfall is now in theaters. But after the lackluster Quantum of Solace, can the latest Bond film bring the action as he has in the past? After a failed mission leaves Bond incapacitated & presumed dead, a terrorist commits a devastating attack on MI-6. The aftermath of the attack not only leaves physical damage but could compromise the agency’s security. Luckily, Bond is available to help MI-6 in this time of great need. But as the threat grows stronger, will Bond be enough to stop it? 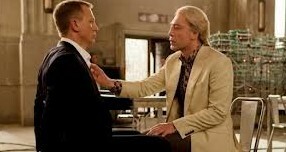 James Bond (Daniel Craig) comes face to face with the villainous Silva (Javier Bardem). The acting in Skyfall is incredibly entertaining as each hits just the right chords. Daniel Craig brings the intensity as he plays a slightly grizzled Bond returning to action after an unfortunate accident. Dame Judi Dench gives a masterful performance as M, the MI-6 leader who is faced with an unprecedented crisis. Javier Bardem’s performance was truly brilliant as he gives it his all playing the flamboyantly twisted villain, Silva. His word for his the performance as Silva will be remembered as one of the most dangerous and memorable Bond villains ever. Outside of a few flat moments, this movie is a full on action ride that gets the suspense pumping. As the plot unfolds, it digs deeper into the characters of Bond & M & keeps you guessing at what could possibly happen next. I also found it interesting that Skyfall felt very similar to Christopher Nolan’s The Dark Knight, which is understandable since both franchises were influenced by one another [i.e. TDK trilogy influenced by Bond movies & Skyfall influenced by TDKT]. 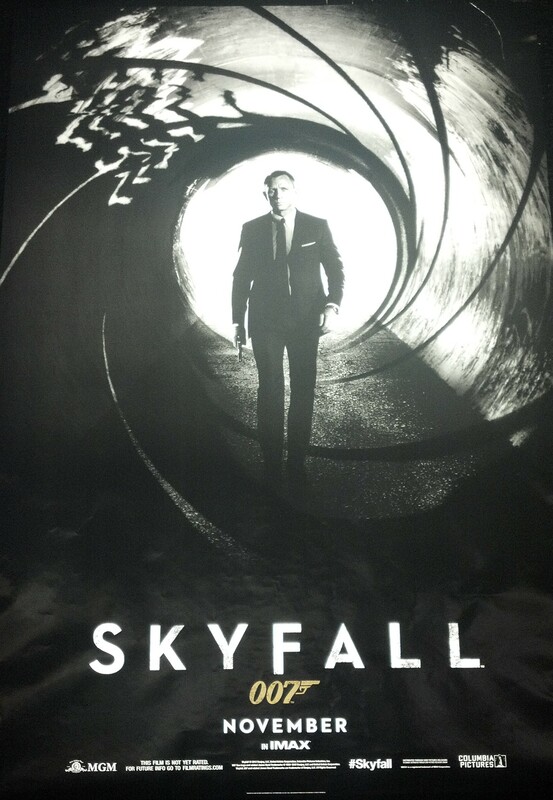 Skyfall is the first Bond film to be shown in theaters in IMAX. If possible, I would suggest that you check it out in IMAX as you will get the most bang for movie experience. Aside from the acting & plot, I enjoyed how Skyfall was able to merge plenty of elements of the recent Bond movies with aspects, references, or Easter eggs from the retro Bond movies.